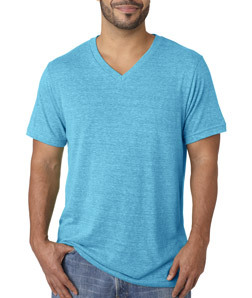 Design custom v-neck t-shirts by Bella+Canvas at Impressionz Printing. Create mens colorful blended short sleeve shirts that look great and wear even better! 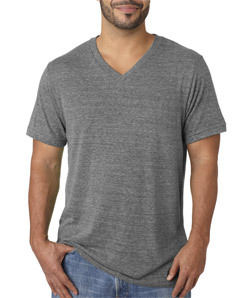 The perfect blend of three fabrics makes for a fashionably-soft feel that will make this V-neck a favorite of every man that owns it.